Miss Artesia paints a lady bug on a little face. The Well Foursquare Church located in Artesia, joined with the city to co-host the Annual Easter Program Saturday, March 26, held at the Artesia Park. Hundreds of families and children participated in carnival games, face painting and Easter crafts. Carnival booth games such as the egg roll, egg and spoon toss, ring a rabbit, duck toss, and the hippity hop sack race kept kids participating in family fun all afternoon. Easter crafts consisted of coloring pages, making Easter collages and bunny eared hats. A magic show was held at 2:00 pm, and a button craft began at 4:00 pm inside the Artesia Library. 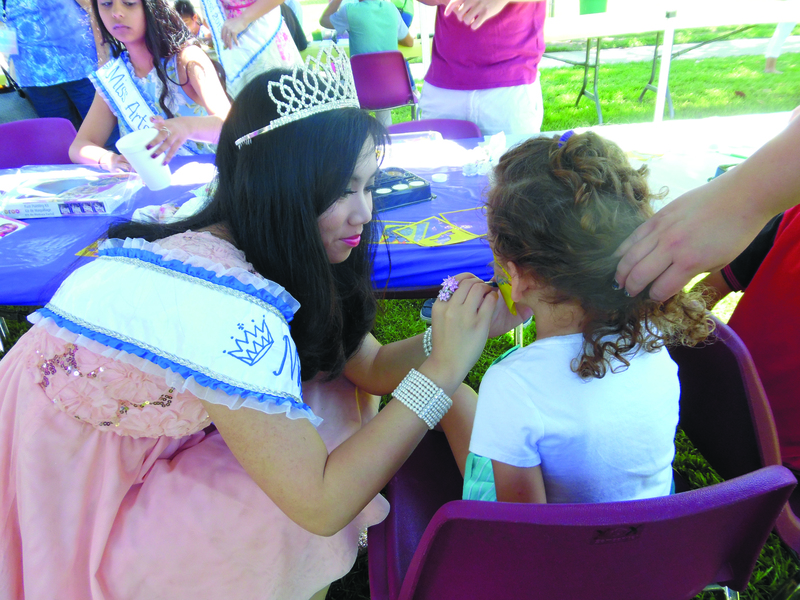 Miss Artesia and the entire Artesia Court adorned little cherub faces with butterfly’s, Lady Bugs, rabbit faces and other decorative Easter face paints. The Well hid over 3,000 eggs on the lawn and adjacent baseball field, where children of all ages competed to snag the most eggs and get to have their picture taken with the Easter Bunny. Four age groups vied for the terrific raffle prizes of a iPad mini, two scooters and Dodger tickets.